The Bieler Press was founded in 1975 by its proprietor Gerald Lange. Last update: 4/10/2019. Purchases of many items listed throughout this site can be made immediately through PayPal at the above email/payment address, or via check, at the above mail address. Request invoice via email if required for payment. See also mdrca, seller of The Bieler Press materials on eBay. Photopolymer platemaking: The Bieler Press has provided photopolymer platemaking to the contemporary studio letterpress community since 1995. Offered are professionally processed premium-grade plates for today’s popular bases. For further details go to Photopolymer Platemaking Service. Bunting magnetic bases: The Bieler Press is a manufacturing representative and distributor of the industry standard Bunting Magnetic Cerface™ Flat Base for Bunting Magnetics Co. The crème de la crème. Monograph on photopolymer platemaking and letterpress printing with digital type: The Bieler Press was the publisher of Printing digital type on the hand-operated flatbed cylinder press, the seminal manual on letterpress printing with the photopolymer plate process (first published in 1998, it went through several print editions). Copies of early editions are still available (click on title above). Still considered the definitive manual on the process, the fifth edition is available from publisher Chatwin Books, Seattle, as well sold by The Bieler Press. Descriptions of selected published titles can be found on the separately linked pages at Fine Press Limited Editions. A list of Bieler Press books as well as other fine books for sale will soon be available at bielerbooks.blogspot.com and listed as Bieler Press Library. The last work produced by The Bieler Press (2014) was An Elegie by Ben Jonson. 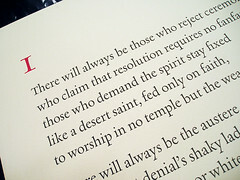 The type was set in the Civilité, Saint Augustin, by Mark Askam at Chestnut Press. 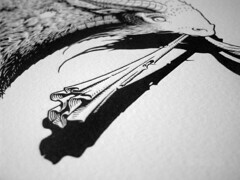 The chapbook was designed and printed by Gerald Lange. Hand sewn and published by Anthony Baker at The Gruffyground Press as the second (Bieler Press) publication in his Shakespeare and His Contemporaries series. For other publishers, Gerald Lange at The Bieler Press specialized in exploratory project-based services and techniques for print production. He provided fine typographic composition, high quality letterpress printing, and precise restoration and reproduction of printed images and letterforms. Copies of several items can be found for sale throughout this site. Gerald Lange is the proprietor and founder (1975) of The Bieler Press, a small printing and publishing firm that specialized in studio letterpress, typographic design, and the publication of finely-printed limited edition books and related matter. The Bieler Press has provided photopolymer platemaking to the contemporary studio letterpress community since 1995. In 1985, the University of Minnesota established The Bieler Press Archival Materials Collection to provide and maintain historical documentation of the Press, from its beginning to its closure. In support of his early endeavors, Lange was awarded five assistance grants from the National Endowment for the Arts as well as grants from the Elmer L. and Eleanor J. Andersen Foundation. In 1991, Lange was selected as the first recipient of the prestigious Carl Hertzog Award for Excellence in Book Design (in 2014 he was asked to serve as a judge for the 14th Award). His publications have also won awards from the Type Directors Club, the American Institute of Graphic Arts, and the Chicago Book Clinic. 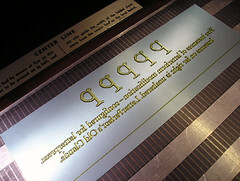 In 2005, Lange was chosen to present the Eighth Annual Stephen A. Kanter Lecture on California Fine Printing at the William Andrews Clark Memorial Library, University of California, Los Angeles. In 2013, UCLA Library′s Center for Oral History Research conducted interviews of Lange for inclusion in their transcript collection. Lange has written extensively on typography and the book arts, contributing articles for publications such as Parenthesis (FPBA), book art object (CODEX), Printing History (APHA), Bookways, and The Typographer. In 2007, he was selected to present a paper on contemporary typography for the 32nd Annual Conference of the American Printing History Association. His seminal monograph, Printing digital type on the hand-operated flatbed cylinder press, was first published in 1998, and a 5th edition is recently available from Chatwin Books, Seattle. From 1986 to 1993, Lange was Master Printer at the USC Fine Arts Press. While at the University of Southern California, he was also editor of the scholarly journal Coranto. Lange also taught coursework and workshops for Art Center College of Design (2000 to 2016) and Otis College of Art and Design (1997 to 2013), as well as Irvine Fine Arts Center (Master Printer Workshop), California Institute of the Arts, Minnesota Center for Book Arts (Master classes), Scripps College (Frederic W. Goudy Workshops), Kent State University (Blossom Visual Communication Design Workshop), University of Minnesota, School of the Art Institute of Chicago, and others. 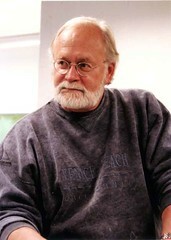 From 1990 to 1996, Lange was editor of AbraCadaBrA, the Journal of the Alliance for Contemporary Book Arts, an organization he co-founded in 1987. He was Chairman of the Fine Press Book Association (NA) from 1999 to 2001. In 2001, he founded PPLetterpress, the online group/forum for investigative, exploratory, and alternative printing and typographic techniques. Exhibitions of Bieler Press work include Catching the Light, Bookworks from Southern California, San Francisco Center for the Book, and concurrent Book Club of California broadside exhibition, 2018; Men Over 25: California Edition, Printing Letterpress for Over a Quarter of a Century, Scripps College, 2012; California Printers in the Fine Press Tradition, 1975–2006, Stanford University, 2007; Master Printers, Los Angeles Municipal Art Gallery/Barnsdall Park, 2006; Ninety from the Nineties: A Decade of Printing, New York Public Library, 2003. Institutional collections of Bieler Press work include The British Library, University of California (various), Columbia University, Harvard University, University of Minnesota, New York Public Library, Princeton University, Stanford University, Victoria and Albert Museum, Yale University, et al. Photopolymer platemaking service, Bunting magnetic flatbases, monograph on letterpress printing with digital plates, reference. Letterpress Equipment, Tools, Materials, Etc. Vandercook SP-15 proof press; Challenge 26.5" paper cutter; fine European printing papers (many in wraps and in large sets), printing equipment; metal foundry type; spacing material; fine printing papers; tympan and press packing; platemaking equipment, tools, and materials; etc.